Understanding the needs of plastics & rubber processing industry and developing fully indigenous solution to cater to these needs has always been the prime target. When the need was felt for a mixer capable of : hard mixing from process compounding view point, We developed Dispersion Kneader. Dispersion Mixer can be employed in a wide range of material mixing, ranging from low viscosity adhesives to high viscosity rubber. 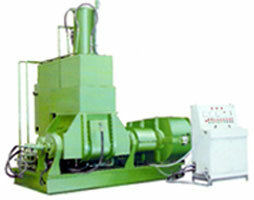 Internal Mixer series to a highly developed range of Dispersion Kneaders for rubber and other polymers with high productivity and consistently good mixing with minimum electricity consumption. 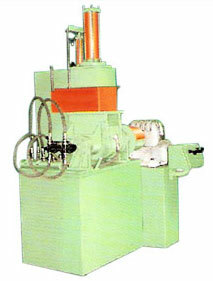 Size Main Motor H.P. Working Cap. Ltrs. Rotor R.P.M Tilt Method Tilt Motor H.P. Air Comp.